Tetovo is located at the foothills of the Shar Mountain in north-western Macedonia, 468 m above the sea level, on the edge of the Polog Valley. The city is separated by the river Pena, which flows from the Shar mountain. Although there is evidence of settlements in the area as early as the bronze age, the town is first mentioned under a name resembling its modern name in the 17th century under the toponym Htetovo. The legend is that Tetovo got its name after the legendary hero Teto, who cleared the town from snakes; not surprisingly, Tetovo means Teto’s place. In the middle ages Tetovo was an important trade center for the local farmers and craftsmen, as well as an important military fortification for the Ottomans. In the 19th century, the Russian Consul I. Yastrebov spoke highly of Tetovo’s climate – mild snowy winters, sunny and comfortably warm summers. The traveler Ami Bue described Tetovo as a very clean city. Today, Tetovo has a well-developed textile and clothing industry. The great plant growth conditions of the Polog valley have been well used for the development of agriculture. The well-known ski resort Popova Sapka lies above Tetovo in the Shar Mountain. An 18 km long asphalt road is leading you from Tetovo to Popova Sapka skiing center. While in winter tetovo is a popular destination for the skiing fanatics, in the summer tetovo is the beloved resort for paragliders. 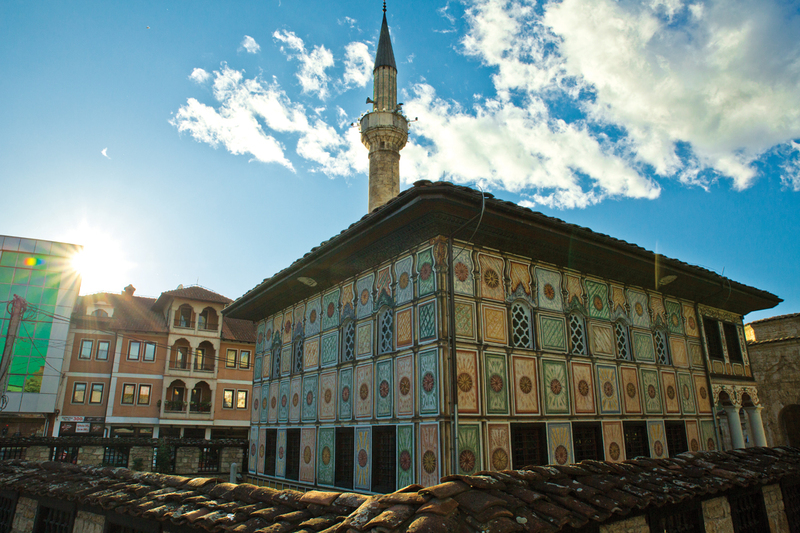 Some of the mosques in the town date back to the 15th century. The best known among them is the Painted (Aladzha) Mosque on the right bank of the river Pena, known among the locals as Pasha Mosque. In the yard of the mosque there is an octagon-shaped “turbe” (grave) of Hurshida and Mensure, the two women that provided the money for the construction of the mosque in 1459. In the vicinity of the town is the Arabati Baba Teke, which used to be a Dervish monastery/convent of the Bekteshi Order. The Teke was abandoned in 1945 and today it houses the Museum of Tetovo. The Monastery of Leshok with the churches of St. Athanasius and of the Holy Virgin, are situated 8km near Tetovo, close to the road leading to the village of Brezno. The church of the Holy Virgin, an excellent example of the byzantine construction tradition, is believed to have been constructed 1326. The church has three layers of frescoes: the bottom layer is from the time of construction, the middle one is from the 17th century, and the top one is from 1879. Several marble columns from the original church are kept today in the Tetovo museum. The church of St. Athanasius was built in 1924 next to the church of the Holy Mother of God. In the yard of the Monastery of Leshok is the tomb of the Macedonian educator Kiril Pejchinovik, who was born in 1770. In his honor, this monastery hosts an International Meeting of Literary Translators. Tetovo is also a host to the Festival of Macedonian Choirs. 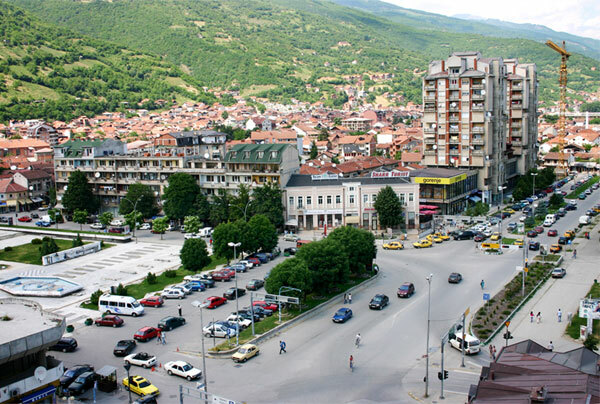 Tetovo and with its surroundings has a population of 180,654 (1991) and it covers 1 080 km2.